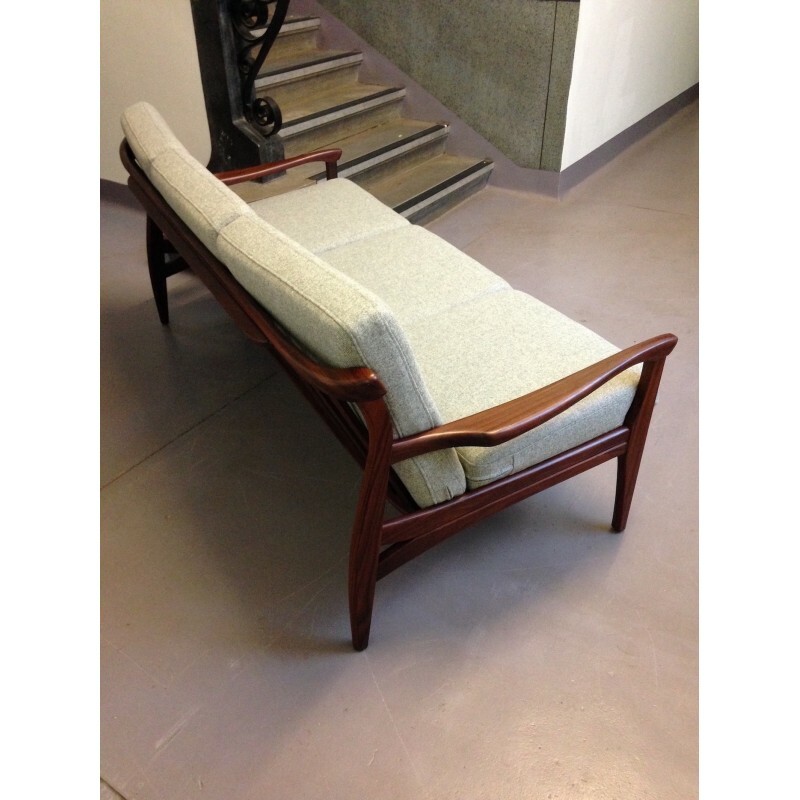 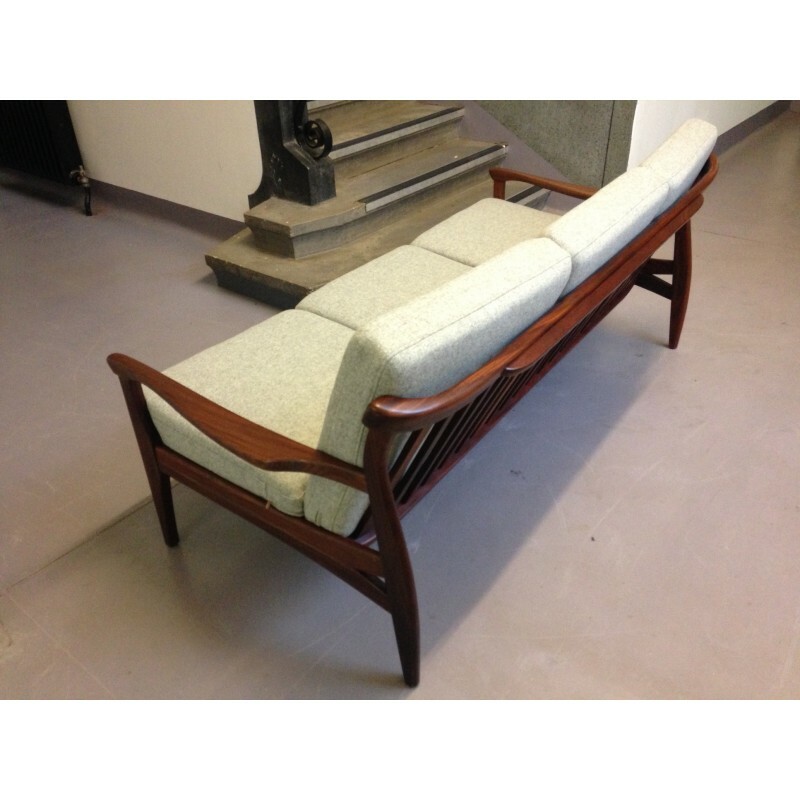 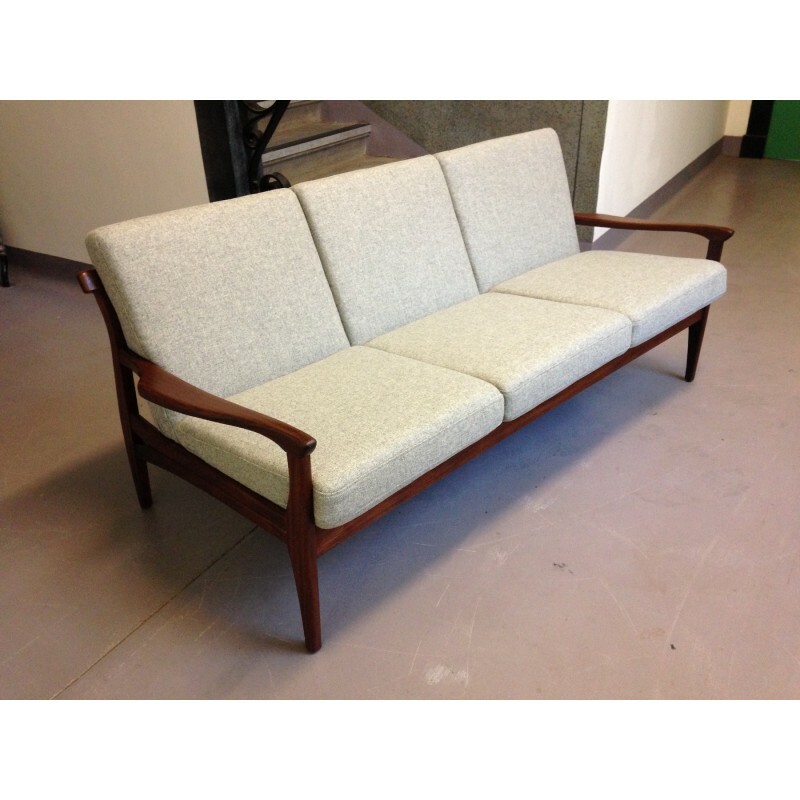 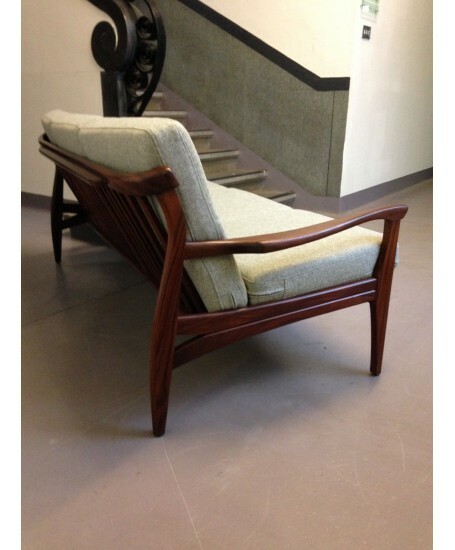 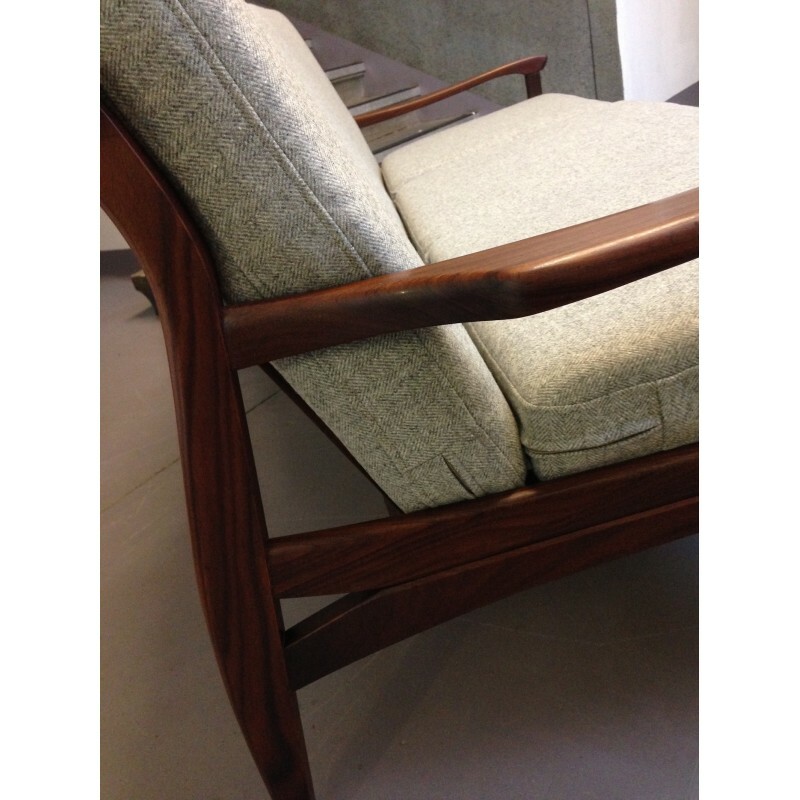 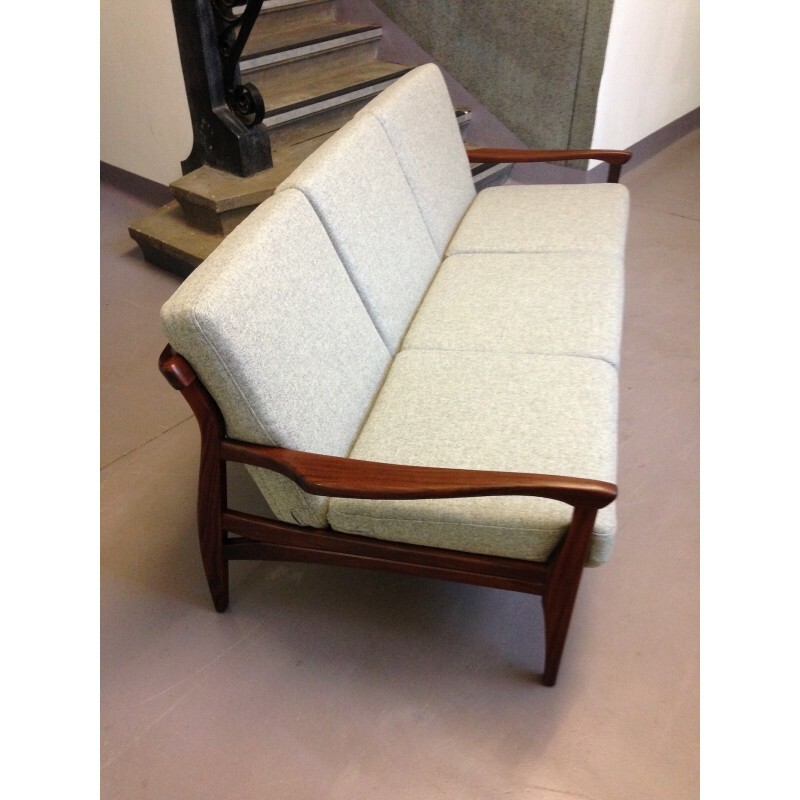 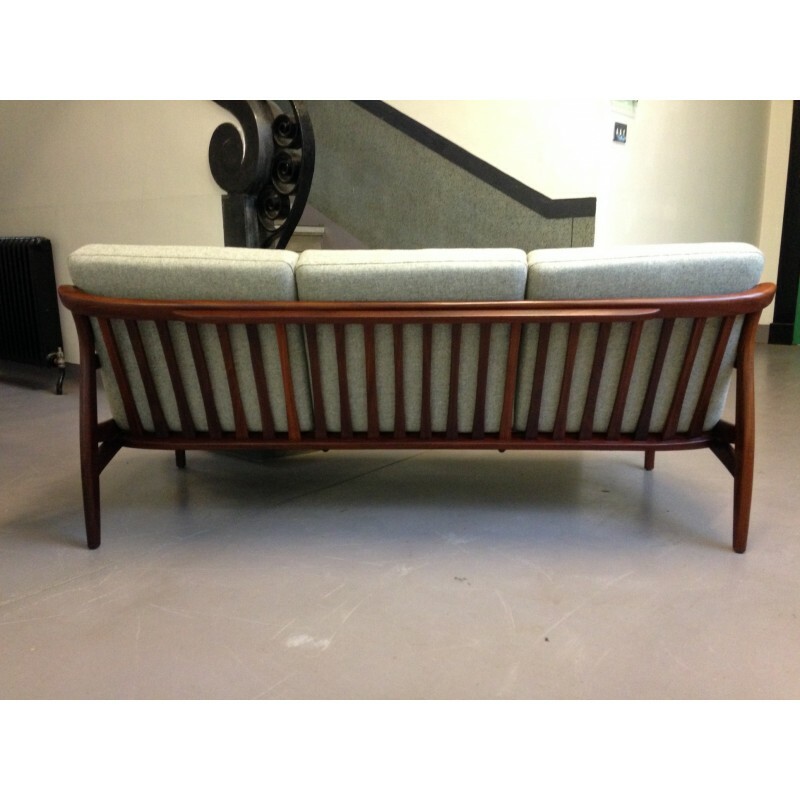 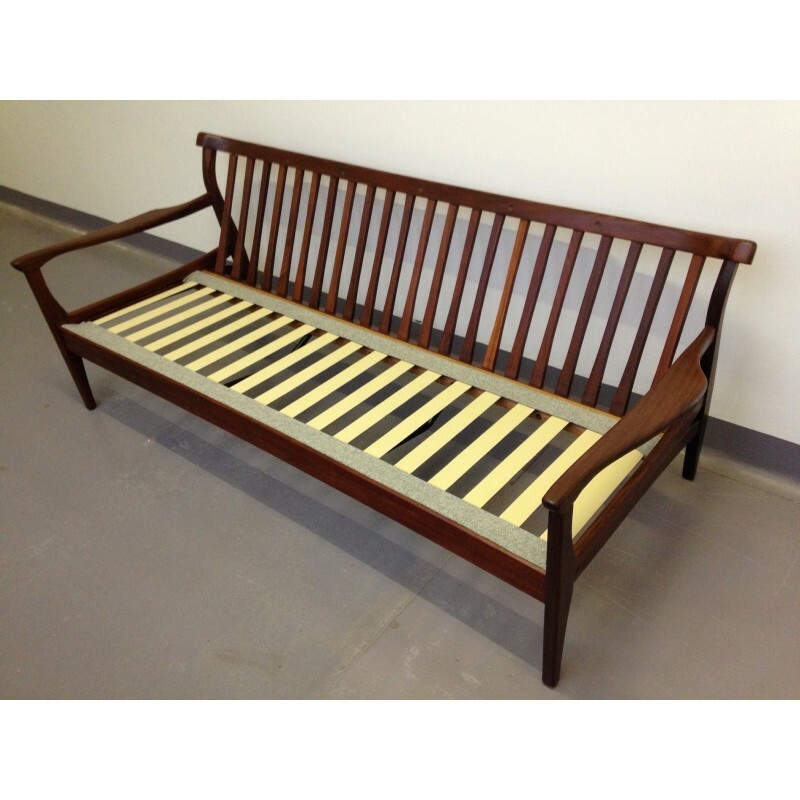 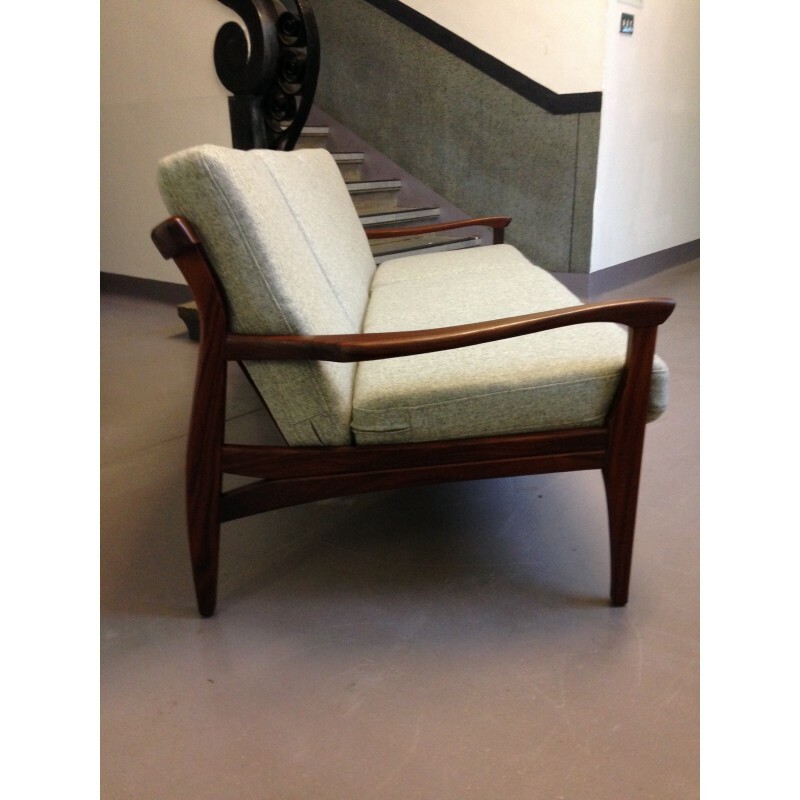 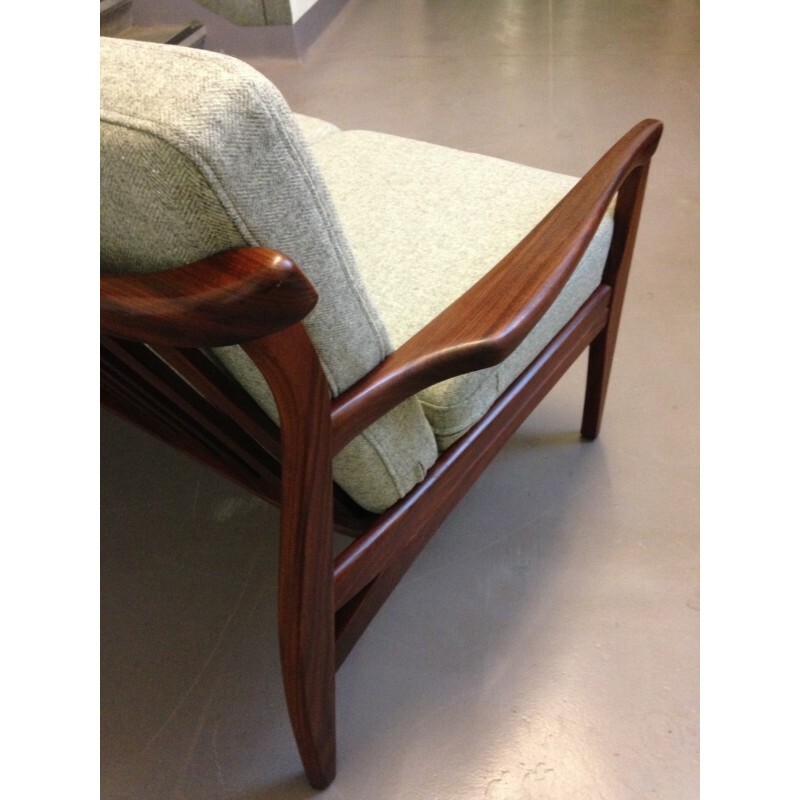 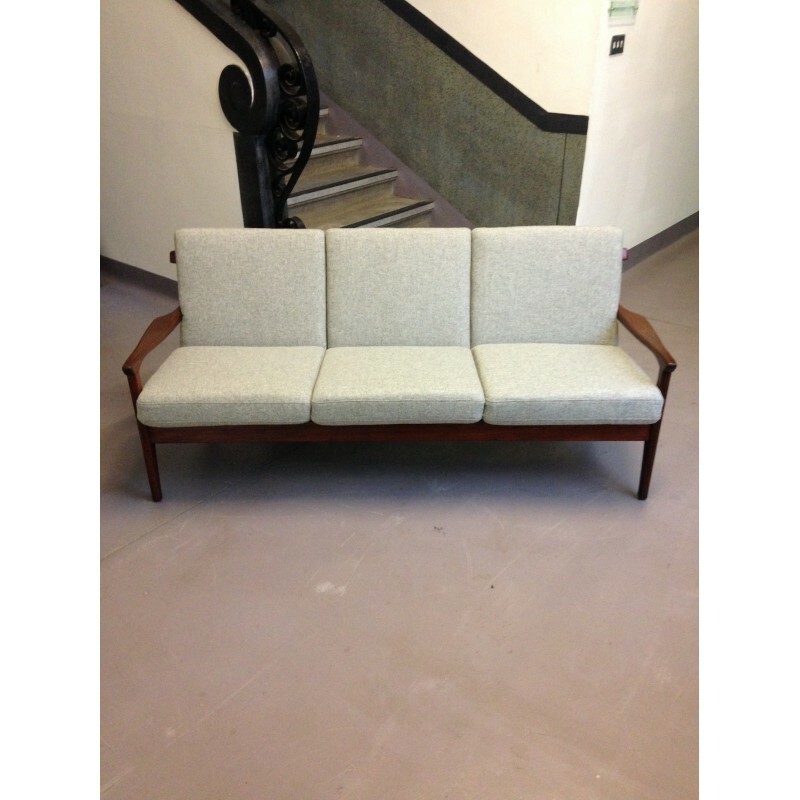 A very handsome Danish style sofa manufactured by British company Toothill. 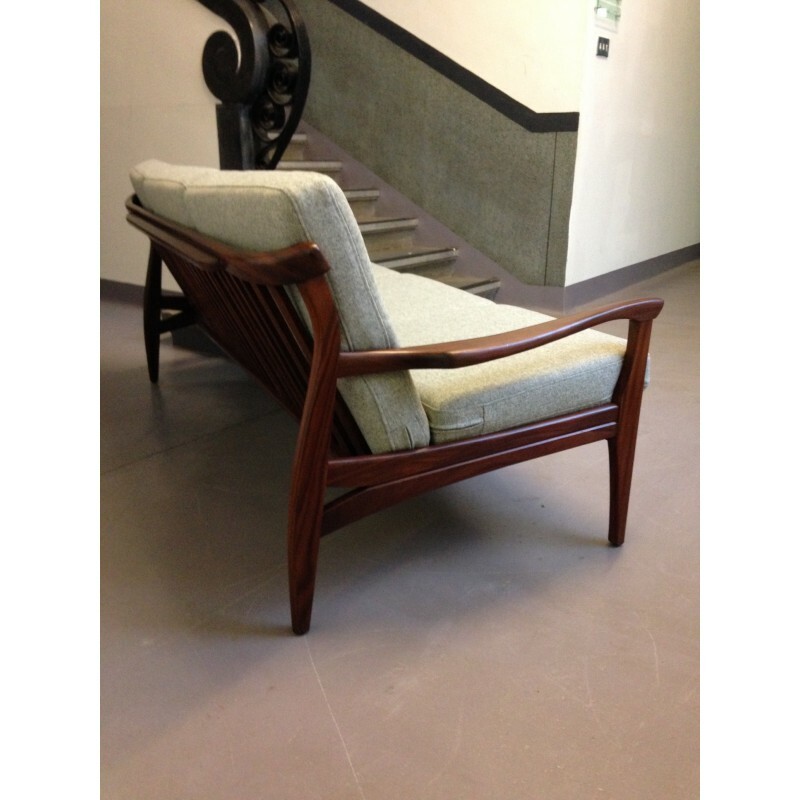 We are only able to find a single other example of this particular model, so a very rare piece indeed. 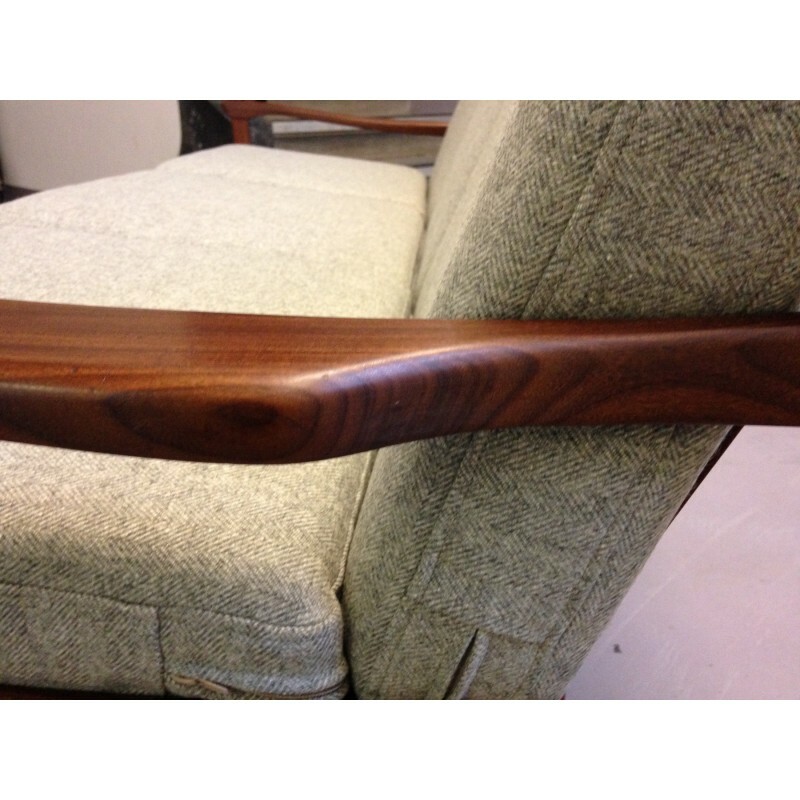 The afromosia/teak frame is in remarkable condition as we have hopefully managed to capture in the images. 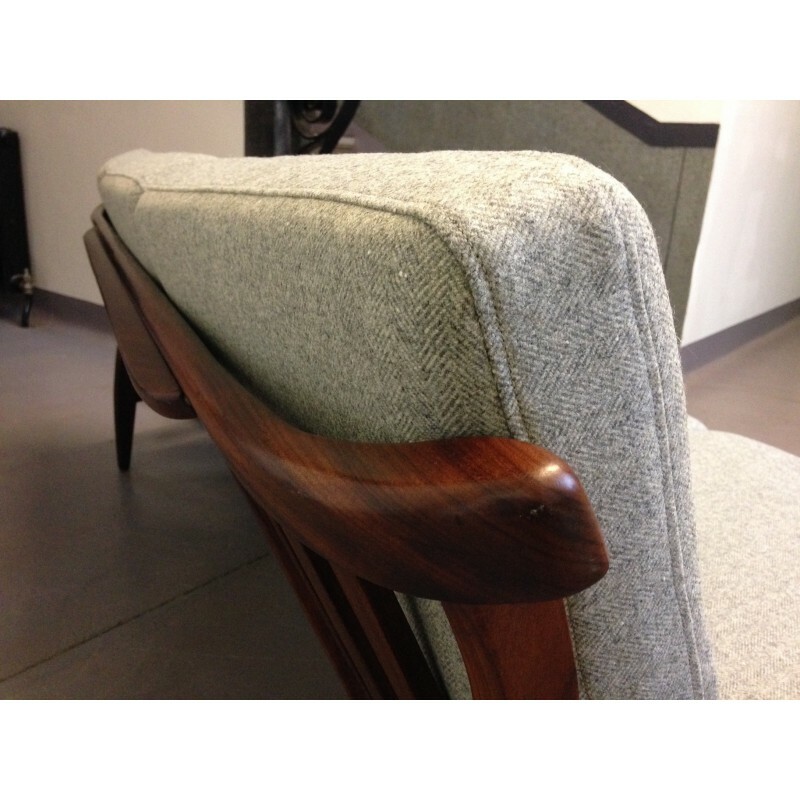 New reflex foam cushions of the highest quality have been upholstered in a gorgeous grey wool from Moon's herringbone collection. 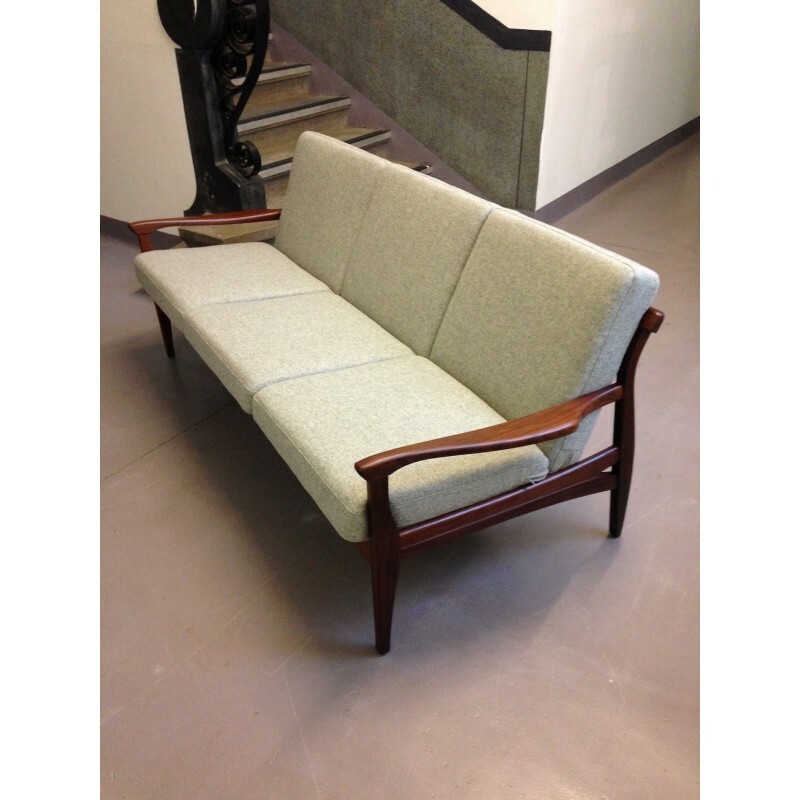 As with all our upholstered items, the sofa now complies with the UK Furniture and Furnishings Fire Safety Regulations. 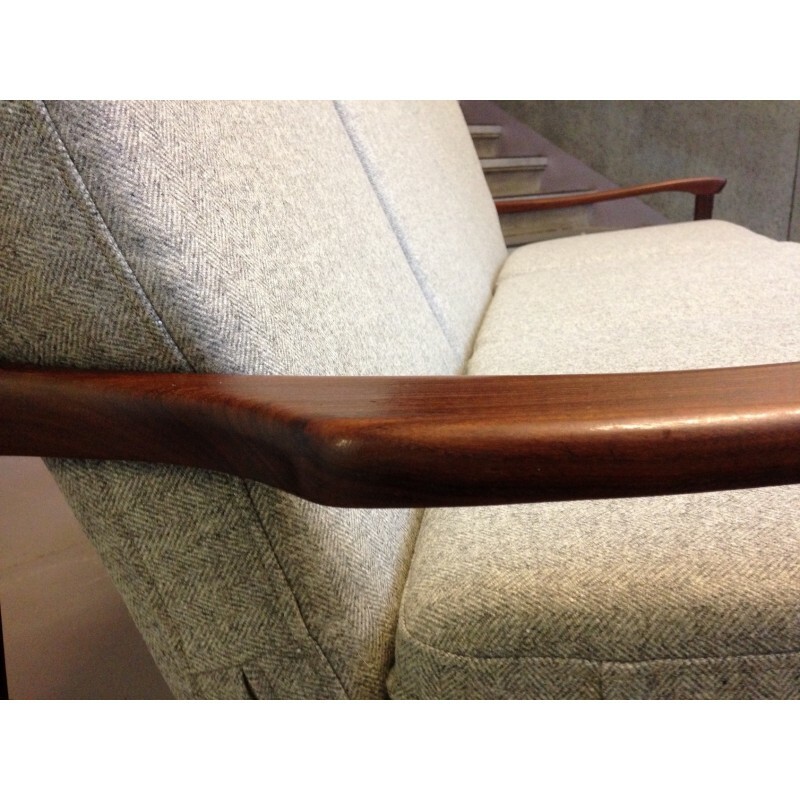 The cushions have been sewn with detailed top stitch finish to give a more exclusive look whilst also providing extra durability, similar to many high quality Danish armchairs/sofas from the same period.